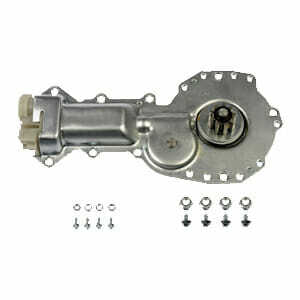 Our GM Window Lift Motors are 100% new OE direct replacement for many General Motors vehicles. Electrical window lift motors typically burn out due to failures from the Window Regulator or from normal wearing of the brushes, armature, bushings or gears. Chevrolet/GMC/Pontiac Front Window Lift Motor. We generally stock and ship out Dorman Window Lift motors with our orders. If your windows are very slow or slow down to a complete halt while in operation then your window lift motor is going out and needs to be replaced. Pick up this GM Window Lift Motor at a discounted price while purchasing our Passenger Window Fix Kit and receive free U.S. Shipping. Prolong Window motor life and make sure that you never have to take off that door panel again with the AutoTrix Passenger Window Fix Kit. Needing help installing this window motor on your Camaro, Firebird, Trans Am, or Formula GM F-body? Check our our step-by-step window motor installation instructions. Select window motor from the top left menu to view.